An Atheist’s Appeal… To Obligation? That is part of Eliphaz the Temanite’s improper, rhetorical accusation of Job. It accurately expresses my sentiments regarding a quote from David Silverman, President of American Atheists in this publication. 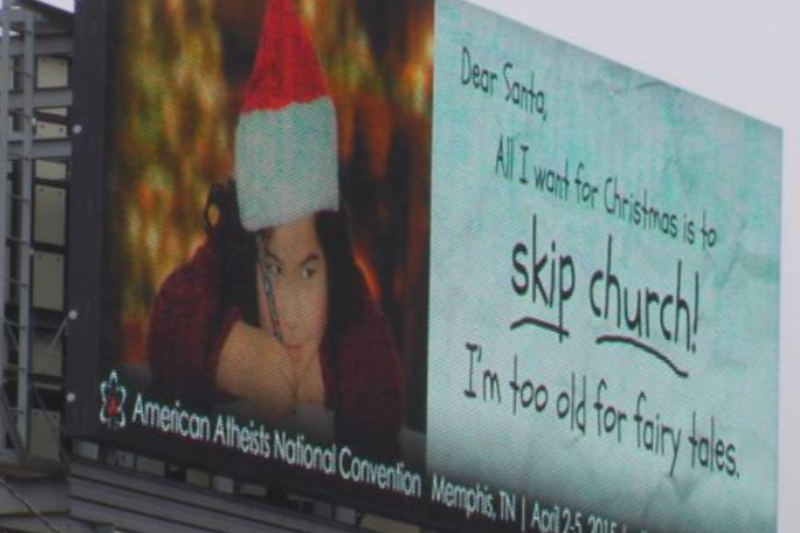 According to the article, the American Atheists are launching an ad campaign this Christmas season promoting their worldview. I love how an atheist appeals to obligation, when in the atheistic paradigm “obligation” does not exist. Obligation cannot exist in the atheistic paradigm because such a paradigm is devoid of objective standards. When objective standards are absent, such then negates any possibility of moral judgements, in any absolute sense, BECAUSE there does not exist any reference in an atheistic realm by which such a judgement may be validated. Therefore, David Silverman (in appealing to “obligation”) is in direct violation of the foundational tenets of the organization he presides over as president. He should resign. Obligation is the last thing that the president of American Atheists should ever entertain. After all, obligatory notions in the atheistic realm, like everything else, are meaningless. It’s irony at it’s finest. So, why would such an intelligent person make such an appeal? Because, David Silverman is an image bearer of God. Image bearers of God can’t help but be image bearers of God… and speak like Christians. God has written His law on our hearts, therefore, none of us can help but to desire and appeal to obligation. That day is approaching, when we will all be judged by Jesus Christ (who is God). We (Christians) must pray for fellow image bearers like David Silverman, that God may grant him repentance. We must also pray that God would provide opportunities for the good news of Jesus Christ to be offered to him, and that God would also cause him to embrace it with contrite sincerity. Next Next post: Am I… Evil?